All board meetings are held at the Machacek Library (Scanlan at Watson), or in the meeting room at Epiphany Church. Neighborhood residents are welcome to attend. 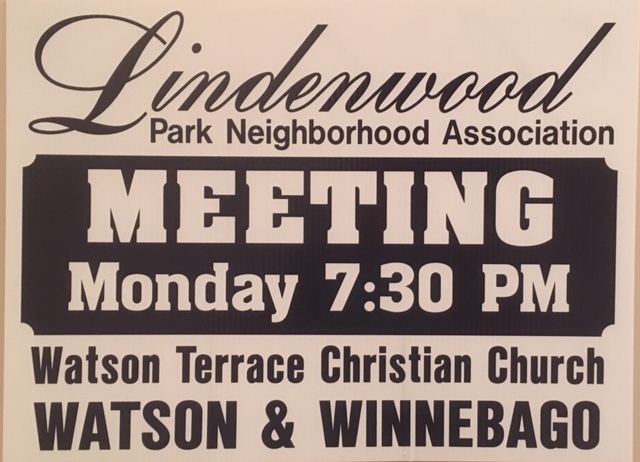 If you wish to add items to the agenda, please email President Pat Acquisto (pat@lindenwoodpark.org) at least one week prior to the meeting. Lindenwood Park Neighborhood Association @ Copyrights 2019 | All Rights Reserved.